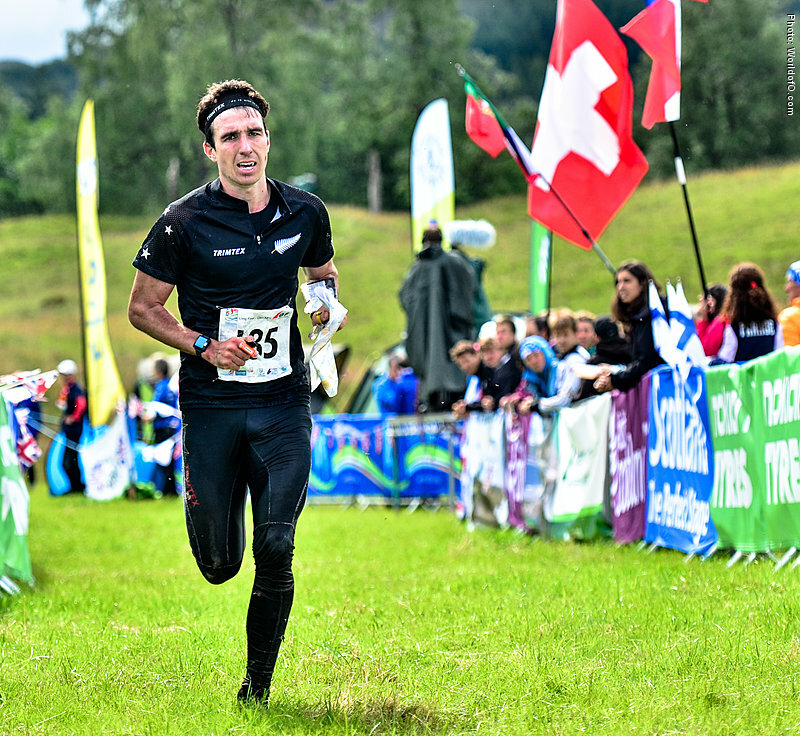 New Zealand’s top ranked orienteer and previous Junior World Champ Matt Ogden will mark his return home by competing in the WOA Rocks Championships this October. He will join many others from around the country for the two day, three race competition in Hawkes Bay. With a middle distance in complex rocky terrain, a sprint on a classical campus style map and the long in a very physically and technically demanding area. The weekend will give Ogden a sufficiently challenging welcome back to NZ Orienteering as well as re-igniting his old battle with in-form North-West club mate Gene Beveridge. We caught up with Matt before he makes his journey back for the summer to gauge his excitement for his time back in his homeland as well as to see what parts of the weekend he is looking forward to the most. Firstly Matt, with the European season all but wrapped up, how do you rate your most recent stint in Scandinavia? It has been rather good, but to surmise the stint in one word, it would have to be progress. I have seen massive developments in my training and racing, most likely attributed to the stability I have established in Sweden. Some highlights were 12th in the Swedish Night Champs, 4th at Jukola with OK Linné, and 26th in the WOC middle distance. You are coming back via Australian Champs in Victoria – what is the main goal for this competition? I always enjoy competing in Australia, the terrain is always so unique, the competitions organized to a very high level and the feelings are always special. I think this is partly because I competed so often in Australia as a junior, and back then I saw it as the pinnacle of my orienteering world. The goal will be just to have a fun time, enjoy the orienteering and experience, and smash some wallabies. You have orienteered occasionally in Hawkes Bay – have you enjoyed these experiences in the past? I love the Hawkes Bay and I have really enjoyed the orienteering I have done here in the past. Whether it be mad sprint orienteering or the most intricate farmland orienteering you can find, it always offers some fantastic challenges and to make it even nicer, it only ever rains in the bay on Waitangi weekend. Maraetotara is a map most HB Orienteers are very proud of and we are really looking forward to showing this off for WOA Rocks. Have you run on this map before? What are your memories? What challenges are you looking forward to the most in the race? I am really excited to run on Maraetotara as it is arguably the best farmland map in NZ. I have only run here once before, at the Nationals Relay back in 2011, however I don’t remember so much about the race. I think the main challenge will be keeping the technique perfect at the very high speeds you will be able to run. Another thing we are very proud to announce for WOA Rocks is that Sport Ident Air will be used for the elite grades for the Ross Morrison planned sprint. This wont be the first time you have used the system – what is it like to use? I was a little skeptical at first with the system as I love the classic sport ident and felt it is almost part of the modern sport. However, I have used it twice this year, firstly at a World Cup in Norway, then at WOC. I am a pretty big fan now and think it will be soon become a common component of events. I think its place in sprint orienteering is a little more questionable than in the forest. With sport ident air, it is so important to keep your flow when running through controls therefore the ‘sprint-technical challenge’ becomes a little simpler as you already have a very strong incentive to maximize flow around the control. But I guess with this in mind, it is then up to the course planner to accommodate for this and perhaps this kind of problem will not be so prevalent in more complex sprint areas like Arataki. Traditionally sprint has been your least favored distance but we are hoping that we can still provide you with some challenges – you have raced on the Arataki map in the past – what do you remember of it and what are some really important techniques to use in this terrain? Well my order of preference would be middle, sprint then long. So actually I like the long the least because it always hurts so much, but it is the greatest challenge and the one I need to work most on! Sprints are awesome, and the arenas and atmosphere you can build with them will always make them fun to run. Arataki comprises two complex schools, with an open section separating them. You can create some nice route choices, but in most cases its 50/50 and so keeping a high speed and constant map contact will be the important things to focus on. The long will be a physical, technical and mental test, especially in the elite grade where a winning time of 85-90min is anticipated. With the courses expected to encounter native and exotic forests, fast open land and tough rocky hills what sort of things would you like to see in a long distance in terrain like this? A long distance should be all about variety, which you have alluded to already. So as long as there is some variation in the course itself, some nice long legs, shorter more technical legs etc. then the long distance will be perfect! Lastly, what are your plans for the rest of your time in NZ? I have made no solid plans, even to go back to Sweden, but at least I will run SOW next year and run up some mountains. I will see how things pan out, but right now im just looking forward to seeing my family and training like a machine. But to be quite honest, the only reason I came back to NZ was to run amongst the rocks in the Hawkes Bay at the inaugural WOA Rocks. Come and join Matt at WOA Rocks this October 17th-18th for 2 days of great orienteering. Go to www.hborienteering.com for more information and entry.